Strike a pose and show off your bling! A fabulous double row, gold tone bracelet, studded with glistening SWAROVSKI ELEMENTS crystals. 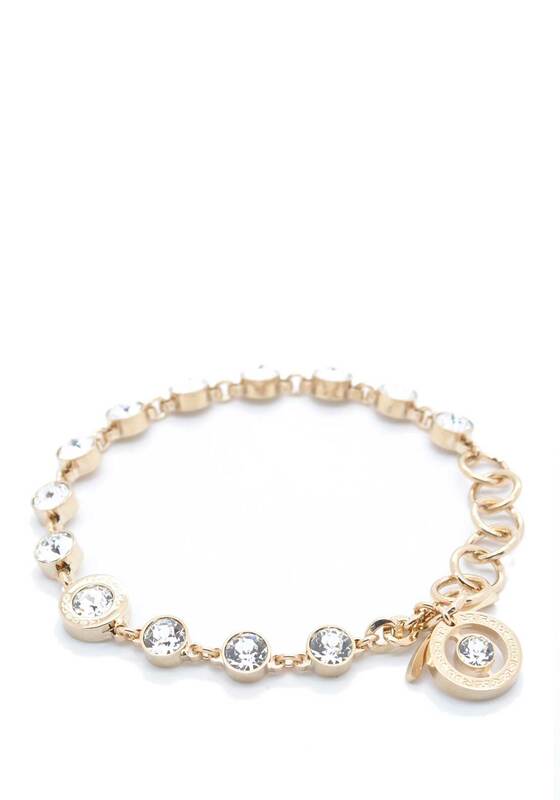 With a toggle fastening and crystal set Rebecca charm, this bracelet will glam up a boring outfit!